This is my grandpa, Merle Leroy Southworth, born March 7, 1915, Randolph County Indiana. I don’t remember grandpa ever talking about his time in the service, so this we have pieced together from the records we have found on line or from a box he had sent home from Germany. Merle’s military occupational assignments were; Pvt. Infantry Basic, Tec 5 Light Truck Driver, Tec 4 General Carpenter. Under the leadership of Platoon Sgt. T/3 Peter J. Lemmo and Assistant S/ Sgt Harold T. Wilson, he was made Cpl and Squad Leader of the 3rdSquad with his Assistant T/4 Ringwalt with 16 men under his command. They were assigned carpentry duties in connection with construction repair at Army Posts in the United States and The European Theatre of Operations. They built frames, laid floors, erected partitions, constructed concrete forms, scaffolds and installed electric wiring in buildings. Crated and packed materials and supplies in waterproof and corrosion proof boxes for overseas shipments. 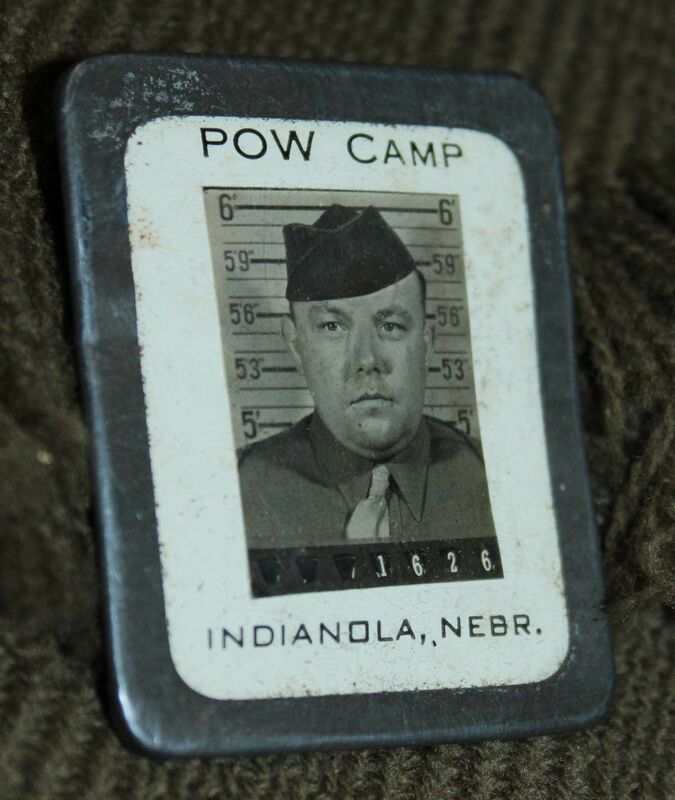 Upon returning to the US after his tour, we believe he was assigned to the POW Camp in Indianola, Nebraska (the reason for this photo ID pin) to do carpentry work in the camp. Good Conduct Med AR 600-68 EAMETO Med.